After Years, this vinyl-wielding 4-piece originating from Brighton - the one and only Soft Rocks - have finally committed their collective wit to a slew of original tunes. 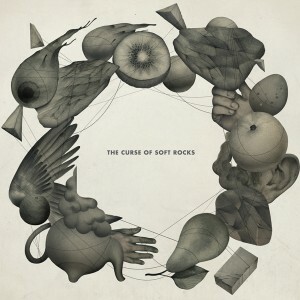 Their debut album, The Curse of Soft Rocks is without-a-doubt a departure from the current musical climate. In an age where any laptop-savvy poseur can upload their bland nu-disco or faux-Chi-house directly to a cesspool of digitally downloadable fodder, i is more than refreshing to hear this cheeky bunch blending a mixed bag of instrumentation and obscure influences so recklessly. Look out for the debut single We Hunt Buffalo Now dropping on October 1oth, complete with a remix from Andrew Weatherall.